Online music lessons are becoming a good alternative to face-to-face tutorials. Sure, you can find some tutorials on YouTube. However, such tutorials might not be tailored to meet your specific needs. With online lessons, you get a personalized solution to all your music learning needs. You’ll get a one-on-one lesson with an expert teacher through various mediums. This could be through a video call on Google Hangout, Skype, and Apple Face Time. It doesn’t matter where you are in the world. You can access online music lessons for as long as you have the interest to learn. Whether you are a seasoned professional or beginner, there is something about these lessons that will suit your needs. You can take online music lessons without leaving your home. All you need is a computer with internet connection and your instrument. You will arrange with your instructor when you should log into your FaceTime or Skype account to start your lesson. When you take your lessons from home, there is no need for commuting to and from the class. The scheduling is all about you and what works best for you! It’s even better if you are a parent so you can plan your music lessons around your children’s activities. With online lessons, you can get the teacher specializing in the exact thing you want to learn. 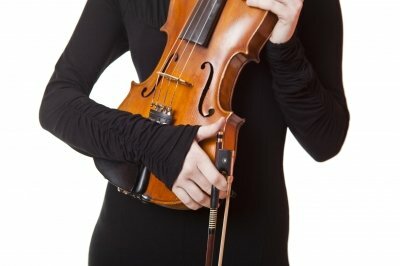 This is because of the variety of instructors offering live online music lessons. Once you get one, your teacher will make a lesson plan. This will be specifically targeted at your goals and level of expertise. Who knows, you might even get help or advice outside lesson hours through email or instant message! When you have an online music teacher, you will be guided on the proper software and tools. With these, you are free to continue learning even when you are online. There are many websites where you can get the information you need. Your instructor will be able to guide you on where the best information is. Your instructor should be able to quickly address lesson problems or mistakes by directing you to online messages. When you do it online, you have the freedom to choose the materials that match your interests. You can, therefore, learn more and at your own pace. Online music lessons are available around the clock. Your online music teacher should help you know exactly how to get the maximum benefit out of them. Learning music online is a sure way of saving you lots of money. Online music teachers charge less than they do for one-on-one lessons. You save the money you would have used commuting to and from music classes. After all, you are learning music from the comfort of your home. Also, you don’t have to buy expensive learning materials or get supplementary equipment from the music school. Computers have microphones and built in webcams so you won’t pay extra buying more equipment. What are you waiting for? Get set up today at www.musictoyourhome.com! Is There An Age Limit To Learning A Musical Instrument? Music has an indescribable power. It can evoke emotions within a moment, stir a memory with the strike of one chord and bring countless hours of enjoyment, love, laughter and tears. That is why many people have a desire to learn a musical instrument, yet hold back because of one simple reason; age! It is not just the upper age limit that can present presumed problems, many parents are keen for their children to start along their musical path, but wonder whether they are too young to get started. As an experienced music teacher I am keen to share my knowledge and expertise with you as we focus on our burning question; is there an upper or a lower age limit to learning a musical instrument? Let’s take those age limits one at a time. Is There A Lower Age Limit To Learning A Musical Instrument? Absolutely not! Did you know that you can help your child to take its first steps along its musical journey while it is still in the womb? It is strongly believed that playing music to an unborn child can have a positive impact, in fact, classical music is thought to even improve the intellectual ability of a growing baby, quite a thought! Once your little bundle of fun has arrived, you will be keen to help that musical journey continue. Evidence suggests that until your child reaches nine years of age, there is a promising window for introducing a musical instrument. Many teachers will not take students until they are at least five years of age. However, this does not mean that your child cannot start to learn before that. The best way you can help your child to start learning music before he or she reaches an age when they can attend professional music lessons is to expose them to as much music as possible. The aim at this age, is not to introduce them to instruments so that they will master them, but rather to help them develop a relationship and love of music. Even a toddler can fall in love with music! While a traditional music teacher for a specific instrument may not take students that are very young, you may be able to find a general music class for babies and toddlers. The aim will normally be to help your youngster focus on the music being played, perhaps by swaying to the music, dancing with your baby in your arms or singing or playing music. As the child grows, perhaps by the age of three, they may be able to attend more formal music lessons, again with a focus on music, rather than a specific instrument. Once your child is five, they will now have developed a sub-conscious understanding of music, as well as a relationship with it. At this point, you will be in the perfect position to decide which specific instrument your child would enjoy learning. Giving music to your child is certainly one of the finest gifts you could bestow as a parent. Is There An Upper Age Limit To Learning A Musical Instrument? So we understand that there isn’t a lower age limit to learning music, but what about the upper age limit? I am going to give you the same clear answer as before; absolutely not! Music is a gift, and anyone who is blessed with the ability to be alive should feel more than welcome to make use of it. That being said, you should be aware of a couple of crucial things you are going to need if you want to start your musical journey later in life. Patience is a virtue! For youngsters, having youth on their side tends to speed up the learning process. Also, many have a natural musical talent which can be tapped into very well at a young age. Unfortunately, as the years creep up on us, so does the need for extra patience when embarking on a new venture. So long as you are willing to enjoy each step of the journey, you are going to do just fine! Learning a musical instrument at an older age also requires a commitment to practice. When youngsters learn an instrument, they tend to be already in a learning system. Many are students at school or kindergarten and may also attend other extracurricular lessons. This means their brain is naturally in learning mode. For older music students, it is time to engage the learning part of your brain and give it enough opportunities to practice that progress will become satisfying. Indeed being able to play a musical instrument is one of the life’s most enchanting pleasures. Remember, age is only a number, and should never be a roadblock in your quest to become a musician, why you can even use it to your advantage!